If you want to know what all the stylish girls in New York City are wearing, read this and then give Eva Chen a follow on Snapchat (username theevachen212). 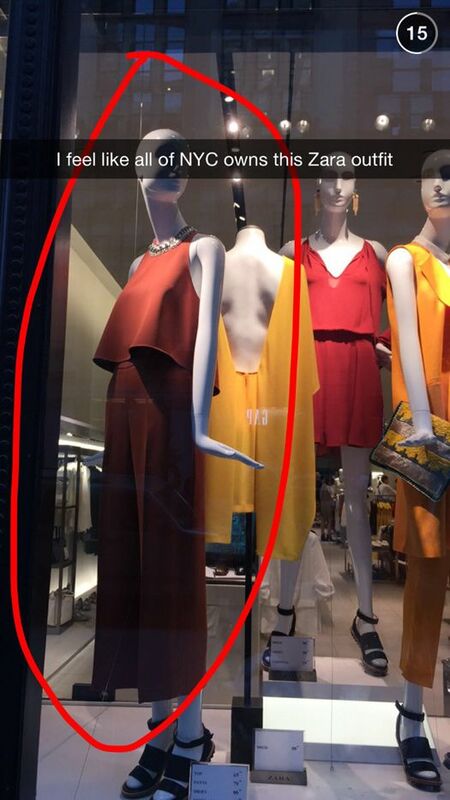 Earlier this week, she snapped the below image while passing Zara’s window display, labelling the mannequin’s look as the NYC girl’s spring uniform. Unfortunately these particular pieces have now sold out, but there are alternatives—Zara has become particularly savvy to this winning look.